Certain Active Pharmaceutical Ingredients are obscure and subsequently require extra substances, which can work in conjunction with the API to create the obliged restorative impact. Case in point, on account of natural solutions, the API is typically a mix of a few blends and substances, which when utilized together get to be dynamic and follow up on the body. As a renowned manufacturer, exporter and supplier, we utilize certain models and benchmarks of estimation so as to focus the relative quality of Active Pharmaceutical Ingredients inside a prescription or medication. At the point when reaching Active Pharmaceutical Ingredients suppliers it is crucial to guarantee high caliber of the substances. Therefore, we take care of documentation, administrative consistence, stockpiling of Active Pharmaceutical Ingredients and packaging, marking, repackaging, discharge and generation ought to all be according to the guidelines set by the FDA. 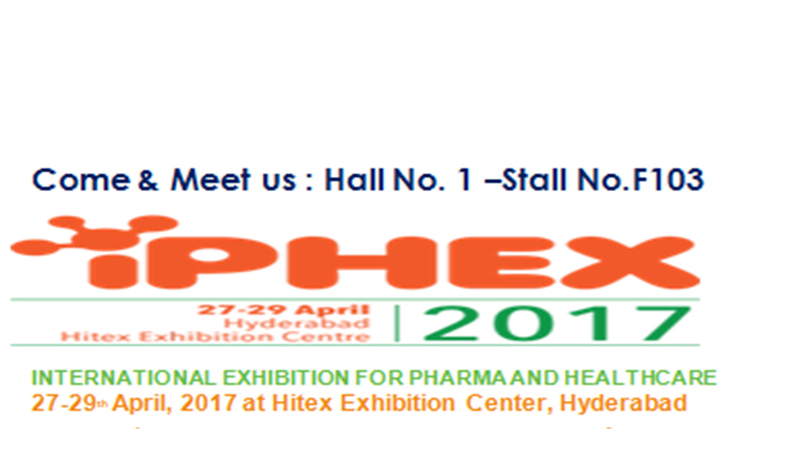 Century Pharmaceutical is a leading manufacturer and supplier of a vast range of Chloramphenicol Palmitate Drug. It is widely used where bacteria have grown resistant to less toxic antibiotic medicines. Offered medicine is widely known for its extraordinary effectiveness and quick action. The raw material used in manufacturing these products is of the best quality. 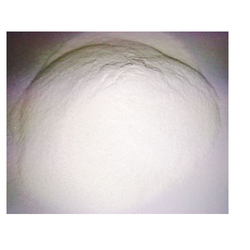 Century Pharmaceuticals Ltd being a reputed organization dealing in manufacturing, supplying and exporting a wide range of generic API s provides the best quality of Sevelamer Carbonate/ Hydrochloride, with effective timely delivery. Sevelamer is a phosphate binding drug used to prevent hyperphosphataemia in patients with chronic renal failure.We cater to the requirements of our clients in all stages of drug development and commercialization. We offer our clients full API and regulatory support, from R D quantities to clinical batches, to full commercial manufacturing. Fluticasone Propionate is used to treat asthma and allergic rhinitis. It exhibits excellent anti- inflammatory feature. Fluticasone propionate belongs to a class of drugs known as corticosteroids, specifically glucocorticoids, which are hormones that predominantly affect the metabolism of carbohydrates and, to a lesser extent, fat and protein. It is used to treat asthma, allergic rhinitis, nasal polyps, various skin disorders and Crohn's disease and ulcerative colitis. It is also used to treat eosinophilic. Nasal spray preparation of fluticasone propionate is used in the prophylaxis and treatment of allergic rhinitis. Fluticasone propionate is a highly selective agonist at the glucocorticoid receptor. It has been shown to have a wide range of inhibitory effects on multiple cell types and mediators involved in inflammation. Brinzolamide ophthalmic (eye) drops is used to treat increased pressure in the eye caused by open-angle glaucoma or a condition called ocular hypertension. Both eye conditions are caused by high pressure in your eye and can lead to pain from pressure in your eye and then can eventually harm your vision. This medicine can help you keep your sight by reducing the pressure in your eye and stopping eye pain. 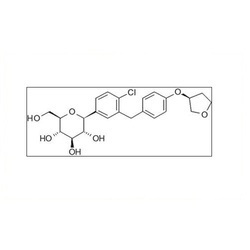 Brinzolamide is a carbonic anhydrase inhibitor used to lower intraocular pressure in patients with open-angle glaucoma or ocular hypertension. Carbonic anhydrase is found primarily in erythrocytes (but also in other tissues including the eye). Erythromycin offered comes backed by standard tests for secure effective service usage. 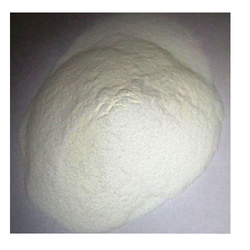 Our company is a highly acclaimed name that is involved in the manufacturing and supplying of the best quality product named Oxytetracycline Dihydrate. It is used to treat various infections such as acne, chronic bronchitis, and some rare infections cause by bacteria’s’ like rickettsiae. The offered medicine is widely known for its long lasting life and no side effects. 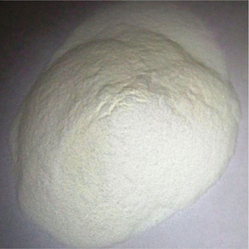 We are a leading manufacturer and supplier of a supreme quality Active Pharmaceutical Ingredient name Dorzolamide Hcl USP . It is used to lower increased intraocular pressure in open-angle glaucoma and ocular hypertension. 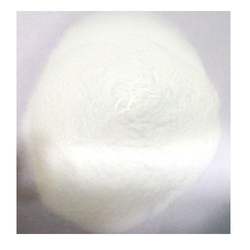 Our firm is one of the leading manufacturer and supplier of a vast variety of Erythromycin Base. It belongs to a class of macrolide. It is an anti-infective medicine, which is used to treat various infections of the respiratory tract. The ingredients used in its processing are of premium grade and sourced from reliable vendors. API and regulatory support, supply varied quantities from few Kgs to full commercial manufacturing in tons for domestic and export market. 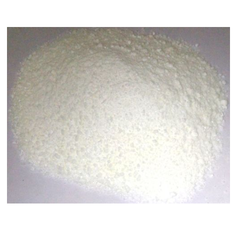 Our company is a renowned name in manufacture and supply of supreme quality Erythromycin Phosphate. It is widely popular for its rapid response against all kinds of respiratory and skin infections. This medicine is thoroughly checked for various quality tests under the supervision of a dedicated team of pharmaceuticals at our disposal. Our prominent product Erythromycin Stearate is formulated using high-quality chemical compounds and other basic ingredients. 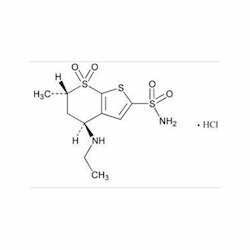 It belongs to the macrolide group. It treats certain infections by stopping the growth of bacteria. Stomach infections are also cured by these ingredients. This medicine is available at affordable rates. Our Company is one of the few names that are engaged in the manufacturing and supplying of premium quality Erythromycin Estolate. This product is primarily used for treating bacterial infections of eyes, nose, throat and upper lower respiratory tract. The entire range of products offered by us is highly appreciated in the market. We are the leading supplier of Empagliflozin made available to our clients at competitive prices. In order to meet the increasing demands of the valued clients, we bring forward a complete range of Bimatoprost at market friendly prices. 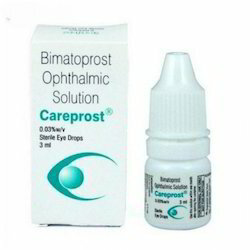 The product is widely used to control the progression of glaucoma and the management of ocular hypertension. As a result extensively appreciated and demanded among the precious clients for Bimatoprost longer shelf life, effective feature, guaranteed results, and zero side effects. Apart, we deliver the entire range within the promised time frame. Being an ISO 9001: 2008, ISO 18001, ISO 14001 certified firm, we offer a reliable gamut of Clarithromycin Taste Masked Granules. Apart, we are a customer centric supplier, manufacturer, and exporter of the field, thus, we bring forth the product at budget friendly prices in various specifications. Our Clarithromycin Taste Masked Granules is largely used to treat pharyngitis, tonsillitis, acute bacterial exacerbation of chronic bronchitis, pneumonia, acute maxillary sinusitis, skin and skin structure infections. Oxytetracycline is a broad-spectrum antibiotic, active against a wide variety of bacteria. Oxytetracycline is still used to treat infections caused by and infections caused by Mycoplasma organisms (e.g. pneumonia). Oxytetracycline works by interfering with the ability of bacteria to produce essential proteins. Oxytetracycline therefore stops the spread of the infection and the remaining bacteria are killed by the immune system or eventually die. Oxytetracycline is also used to treat acne. 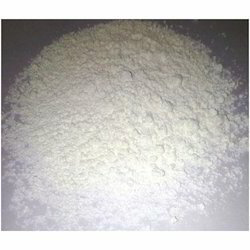 It is used to treat flare-ups of chronic bronchitis. Oxytetracycline is also used to treat other rarer infections, such as rickettsiae. 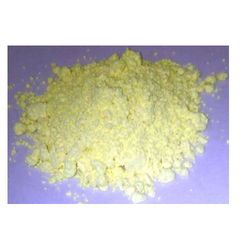 Oxytetracycline (Dihydrate) is a naturally occurring tetracycline, produced by Streptomyces rimosis. Like other tetracycline it has a broad spectrum of activity effective against a wide range of both gram positive and gram negative organisms. The main mechanism of action is on protein synthesis. In addition to its antibiotic activity Oxytetracycline (Dihydrate) is also a chelating agent and will chelate Ca, Mg or Al ions in the gut. Oxytetracycline (Dihydrate) is administered orally and intramuscularly. Rosuvastatin is used along with a proper diet to help lower "bad" cholesterol and fats (such as LDL, triglycerides) and raise "good" cholesterol (HDL) in the blood. It belongs to a group of drugs known as "statins." It works by reducing the amount of cholesterolmade by the liver. Lowering "bad" cholesterol and triglycerides and raising "good" cholesterol decreases the risk of heart disease and helps to prevent strokes and heart attacks. 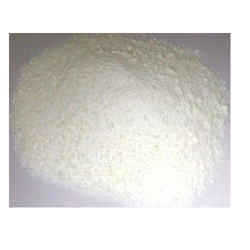 We are one of the reputed manufacturer and supplier of Erythromycin Ethyl Succinate. 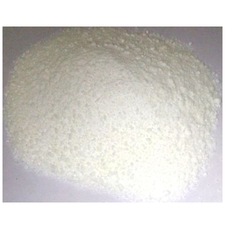 It is an ester of erythromycin and suited for oral administration. It has excellent anti-microbial properties. This is processed using superior quality chemicals. It is considered for treatment of infections pertaining to the respiratory tract. We are involved in manufacturing and supplying the excellent quality Acenocoumarol Nicoumalone, this medicine is used to prevent blood clots hence securing the veins. The entire range offered by us has amassed intense praise among the client base. We make them available at highly competitive prices. Ideally used for treating bacterial infection in people with weaker immune system, the offered Azithromycin Taste Masked Granules is considered to be one of the primary choices. Manufactured as per the set industrial standards, its quality never deteriorates. In addition, the drug is priced at the most affordable rate possible. 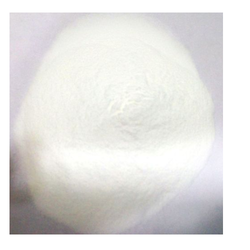 Our company is a leading name in manufacturing and supply of supreme quality Azithromycin Dihydrate. It is used in symptoms of respiratory tract infection, skin infection and other bacterial infection. The ingredients used in its processing are of premium grade and sourced from reliable vendors of the market. Our company is a trusted name that is occupied in the manufacturing and supplying of premium quality Erythromycin Oxime Base IHS. It is an and used for the treatment of many bacterial infections. It also cures certain transmitted diseases. Before packaging and dispatch, this medicine is subjected to various quality checks based on various parameters. Clarithromycin is an antibiotic used to treat various bacterial infections. Clarithromycin can be taken by mouth as a pill or liquid. Clarithromycin is primarily used to treat a number of bacterial infections including pneumonia, Helicobacter pylori and as an alternative to penicillin in strep throat. Other uses include cat scratch disease and other infections due to Bartonella, cryptosporidiosis, as a second line agent in Lyme disease and toxoplasmosis. It may also be used to prevent bacterial endocarditis in those who cannot take penicillin. It is effective against upper and lowers respiratory tract infections, skin and soft tissue infections and Helicobacter pylori infections associated with duodenal ulcers. Sevelamer Carbonate Sanofi contains sevelamer, a non-absorbed phosphate binding cross-linked polymer, free of metal and calcium. 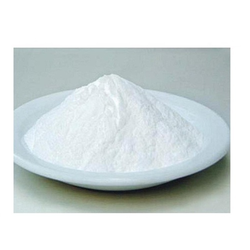 Sevelamer is a white to off-white powder comprising of a partial carbonate salt with approximately 40 % amine carbonate and 60 % free base. 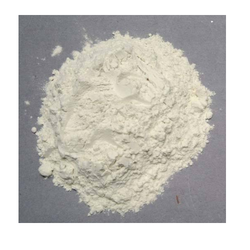 Sevelamer carbonate is amorphous, hygroscopic and hydrophilic, but insoluble in water with a pH range of 8-10.5 as a 1% aqueous slurry. Each Sevelamer Carbonate Sanofi film-coated tablet contains 800 mg of sevelamer carbonate on an anhydrous basis. Sevelamer Carbonate Sanofi tablets contain the following excipients: microcrystalline cellulose, sodium chloride, purified water and zinc stearate. The tablet coating contains; Opadry complete film coating system 06A29064 Clear (PI-11577), Opacode WB monogramming ink NS-78-17715 Black (PI-4424), hypromellose and diacetylated monoglycerides. The tablet printing ink also contains hypromellose in addition to iron oxide black ink, propylene glycol, isopropyl alcohol. Each Sevelamer Carbonate Sanofi sachet contains 1.6 g or 2.4 g of sevelamer carbonate for oral suspension on an anhydrous basis. Each sachet of Sevelamer Carbonate Sanofi powder contains the following excipients: RB26 Genzyme N&A citrus cream FL PWD #24660 (PI-109424), propylene glycol alginate, sodium chloride, sucralose, and iron oxide yellow. Sevelamer is used to lower high blood phosphorus (phosphate) levels in patients who are on dialysis due to severe kidney disease. Dialysis removes some phosphate from your blood, but it is difficult to remove enough to keep your phosphate levels balanced. Decreasing blood phosphate levels can help keep your bones strong, prevent unsafe buildup of minerals in your body, and possibly decrease the risk of heart disease and strokes that can result from high phosphate levels. Sevelamer works by holding onto phosphate from the diet so that it can pass out of your body. The active ingredient in Renagel* Tablets is sevelamer hydrochloride, a polymeric phosphate binder intended for oral administration. 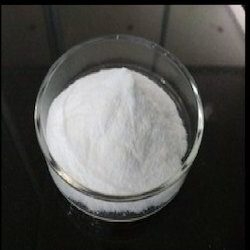 Sevelamer hydrochloride is poly(allylamine hydrochloride) crosslinked with epichlorohydrin in which forty percent of the amines are protonated. 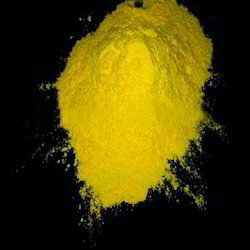 It is known chemically as poly(allylamine-co-N,N’-diallyl-1,3-diamino-2-hydroxypropane) hydrochloride. Sevelamer hydrochloride is hydrophilic, but insoluble in water. Nicoumalone offered provides working as an anticoagulant and is available in tamper proof packaging.